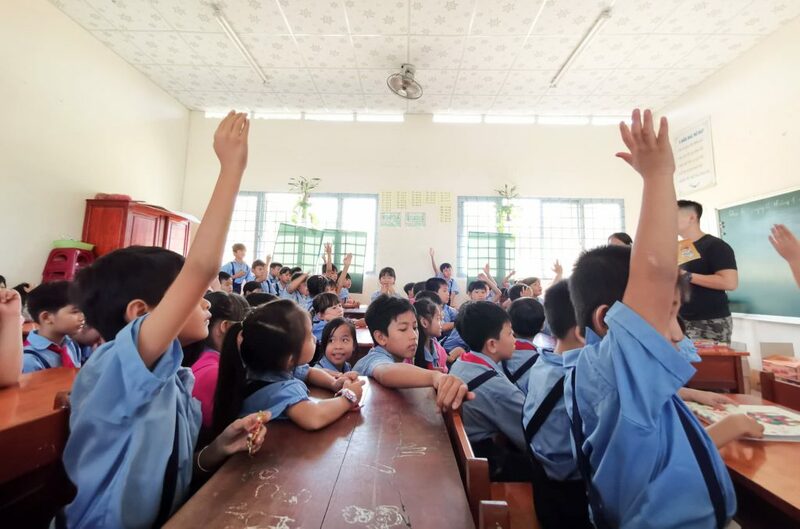 Just before Lunar New Year, on January 22, 2019, Gameloft donated children’s libraries to a rural school in Vietnam in coordination with The Library Project. 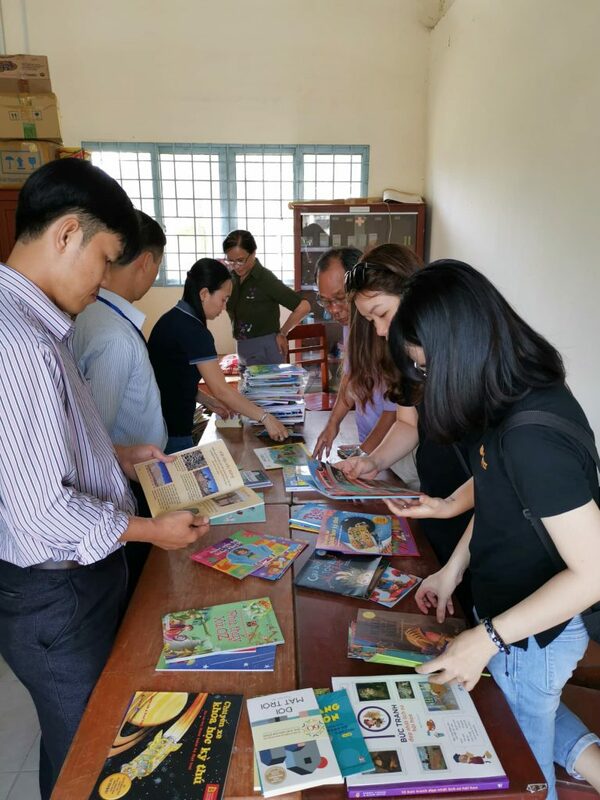 Gameloft’s donation consisted of 392 Vietnamese language children’s books, impacting 9 teachers and 89 students. Two boys are sharing a book about good will. The libraries go directly into the classrooms, giving teachers & students direct access to their new books. The Gameloft Library Project consisted of 3 STEM Classroom Libraries, a bookshelf for each classroom. These libraries have an emphasis on educational books about science, technology, engineering and math. 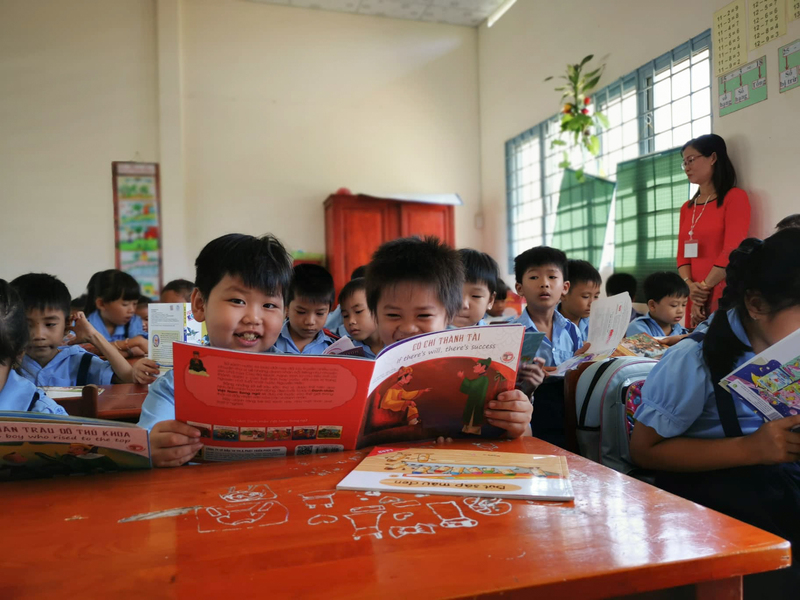 The books teach children about topics such as the environment, climate challenges and pollution. 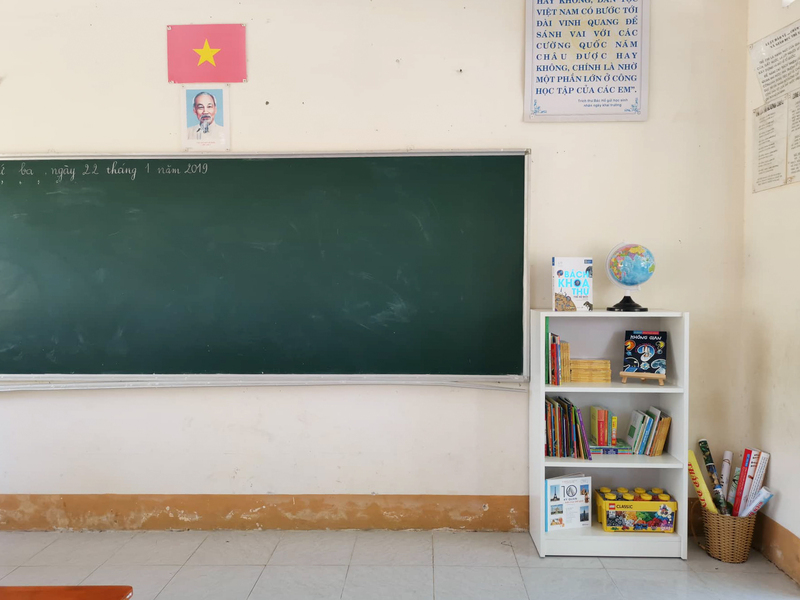 Also included is a science activity “how-to” book and STEM Activity Kit, which includes material to conduct simple science experiments in the classroom. Other books focus on narrative stories that teach about diversity, kindness, bravery and gender equality. Together, The Library Project’s STEM Classroom Library holistically helps improve STEM education as well as literacy and writing skills. After a Literacy Program conducted by TLP members, these young students explore their new libraries. 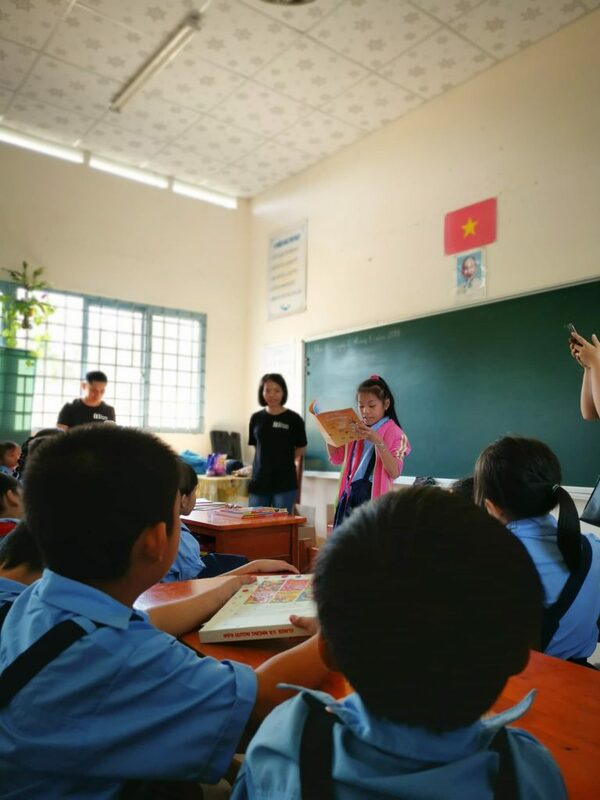 Gameloft donated 3 STEM Classroom Libraries to a rural school in Vinh Long province. The small school is only accessible by a winding, narrow dirt path. 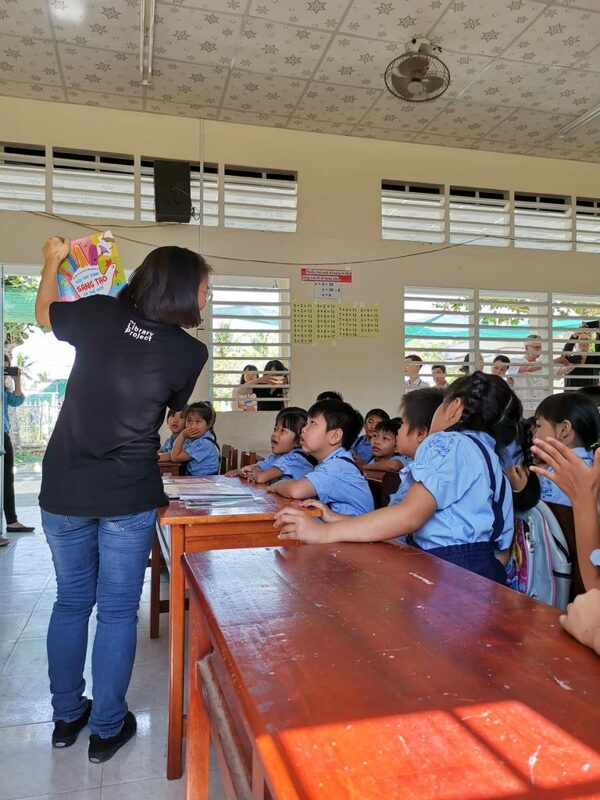 Situated near the river and surrounded by trees, the school had no additional educational materials before Gameloft’s library donation. 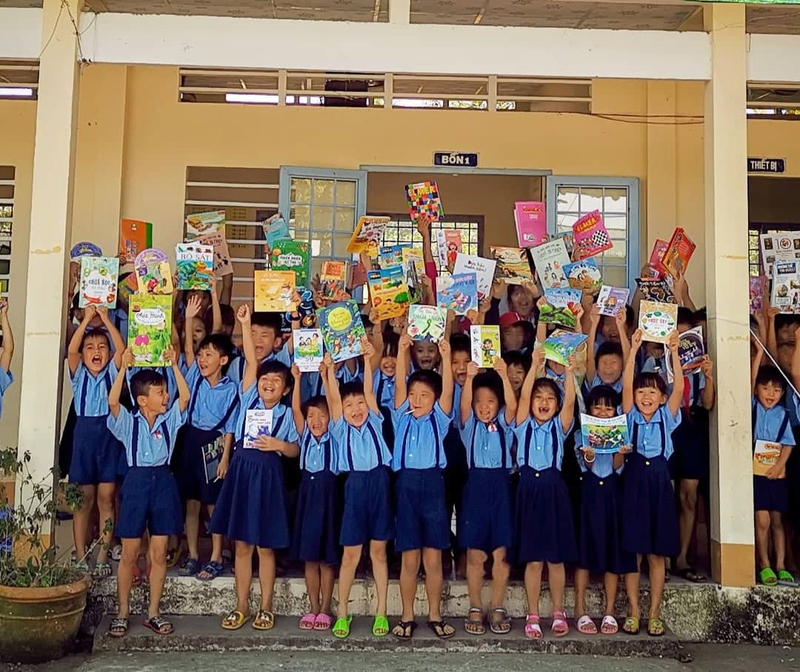 Because of this donation, the school went from 0 additional books to 392 books. 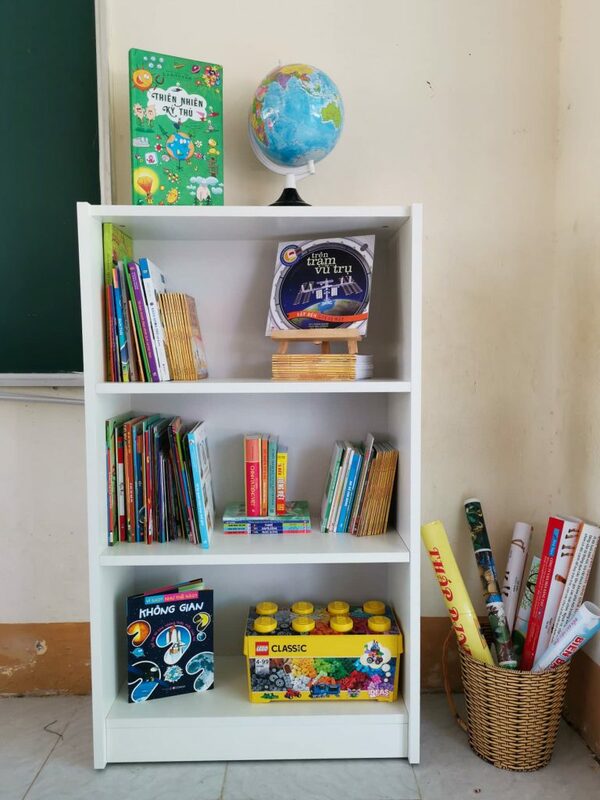 A STEM Classroom Library has more than 100 educational books, a globe, several maps and games. 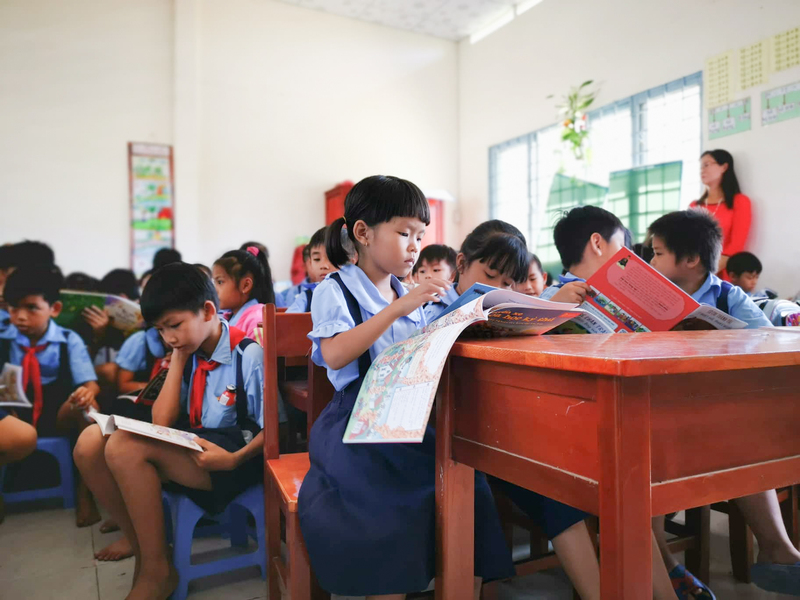 In the Literacy Program, students can try telling stories to other classmates, then they will have their own quiet reading time. 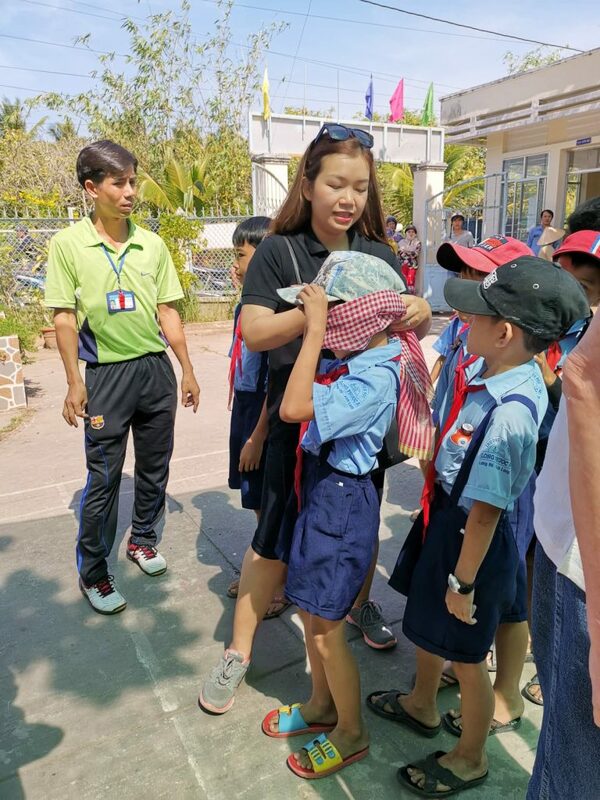 Gameloft staff attended the library donation, took part in the Literacy Program and played games with the students to bring in the Year of the Pig. 89 students spanning grades 1, 2, 4 and 5 will now have direct access to high-quality educational resources. 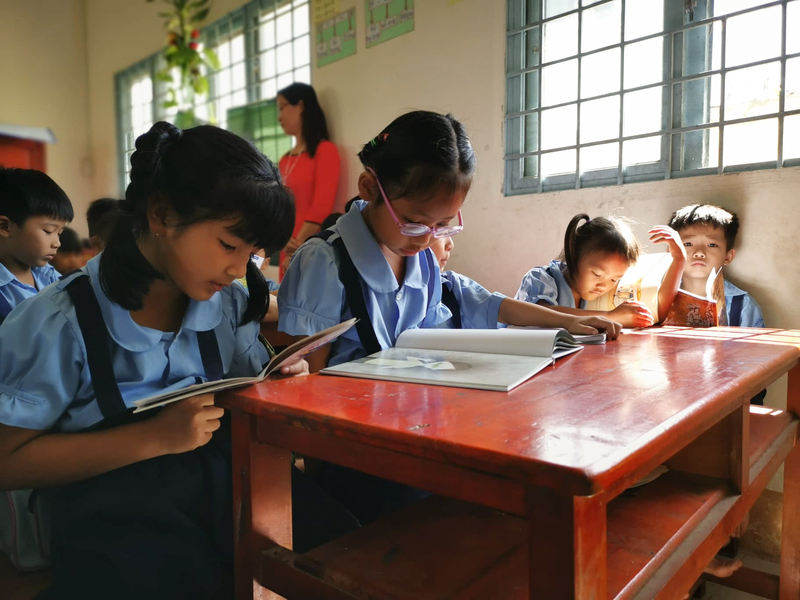 Further, 9 teachers will have direct access to these libraries, giving them the ability to use the books, STEM Activity Kits and educational toys while teaching. To prepare the libraries, Ms. 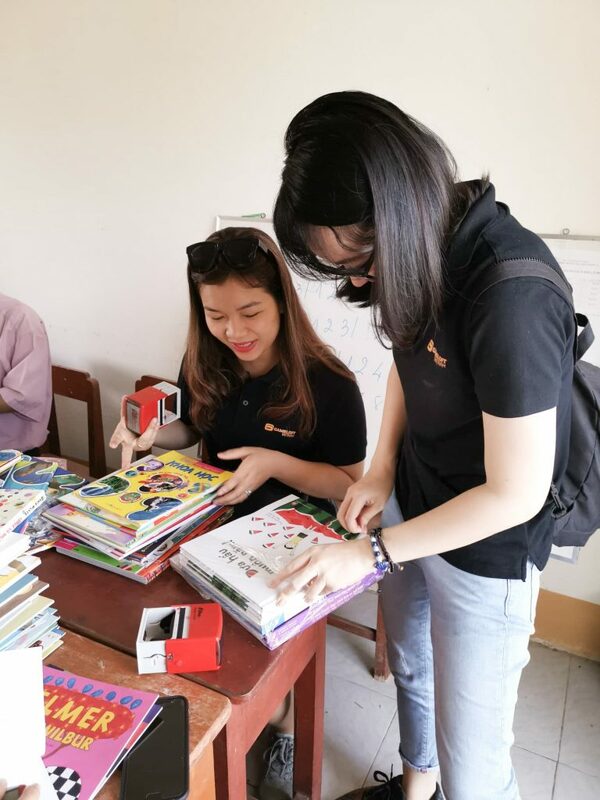 Hang and Ms. Mai from Gameloft, along with teachers and government officials, stamp all the books and help organize them for each library. 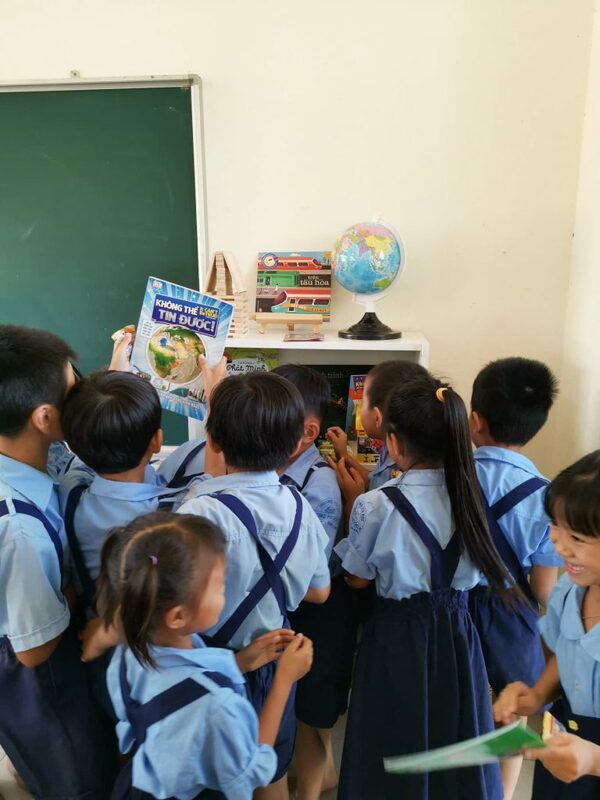 Students in this rural school are super excited with their first books. 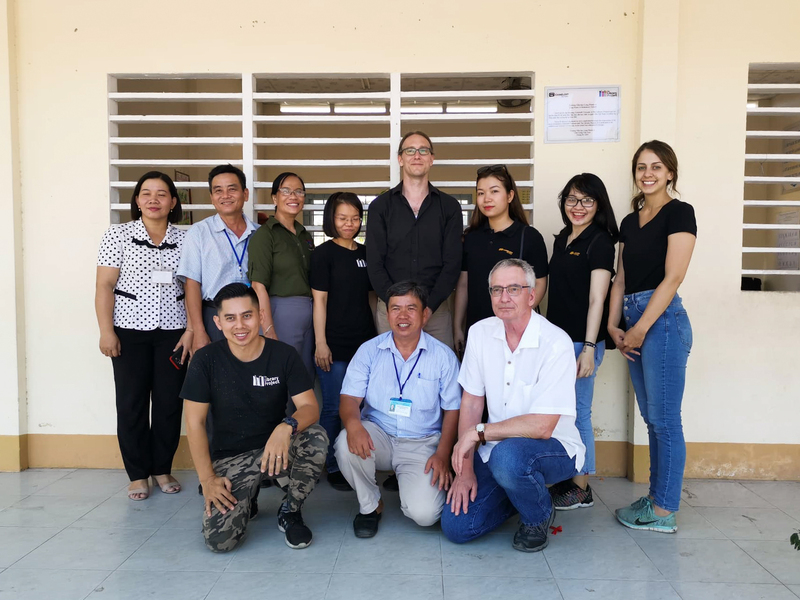 School teachers and administrators, The Library Project team and volunteers and Gameloft staff stand by the donation sign after the libraries are complete. 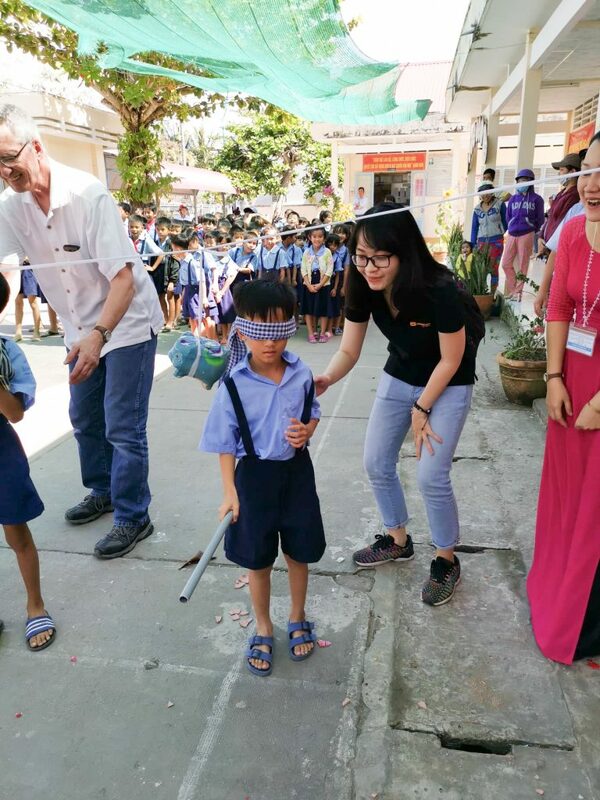 Thank you, Gameloft, for your generous donation and for your continued support to improving education in rural Vietnam!